In 2014, the K-Pop genre experienced a new kind of buzz with the debut of a group made up of four pretty South Korean singers known for taking on retro, jazz, and R&B concepts to compliment their mindblowing vocal acts. The South Korean all-girl music group is known as Mamamoo, put together by Kim Jin-woo and Kim Do-hoon’s entertainment company RBW. While working on a stellar debut, the group teamed up with other artists to release some critically acclaimed collaborations. The first of such was released on the 8th of January and the piece titled Don’t Be Happy was done with Bumkey. The next month, February 11, another one dropped. This second release was done with K.Will, featuring Wheesung and the hit titled Peppermint Chocolate took up the 11th spot on the Gaon Digital Chart through the first week of its release. Just before Mamamoo dropped their first music offering, they did another collaboration, this time, with rap duo Geeks. The track titled HeeHeeHaHeHo was released on May 30. On June 19, 2014, Mamamoo’s debuted with the single Mr. Ambiguous, right out of their first extended play (EP) Hello. Mamamoo is a girl group based in South Korea, birthed in 2014 by Rainbow Bridge World (RBW). The group is made up of four members who identify as Solar, Moonbyul, Wheein and Hwasa. Upon the creation of the group, they didn’t waste any time in churning out hits but not without a few collaborations with notable artists like K.Will and Bumkey. Ready to make the world their stage, the girls debuted in May 2014 by dropping a chip off the iceberg (Mr. Ambiguous) from their debut EP (Hello). The group debuted live on stage on M! Countdown’s June 19 episode and in July, they organized a guerrilla concert at Hongik University in Hongdae, Seoul. A second EP by Mamamoo titled Piano Man was released on November 21, with the title song making it to the number 41 spot on Gaon’s Digital chart. They wrapped up their first year as a group with a bang – they became the tenth in the midst of idol girl groups for digital sales, took the 19th position in album sales, and 11th in overall sales. The ranks were decided at Gaon’s year-end rankings. 2015 came with more success and milestones for the girls – they recorded their first top three single on Gaon chart and also went international. 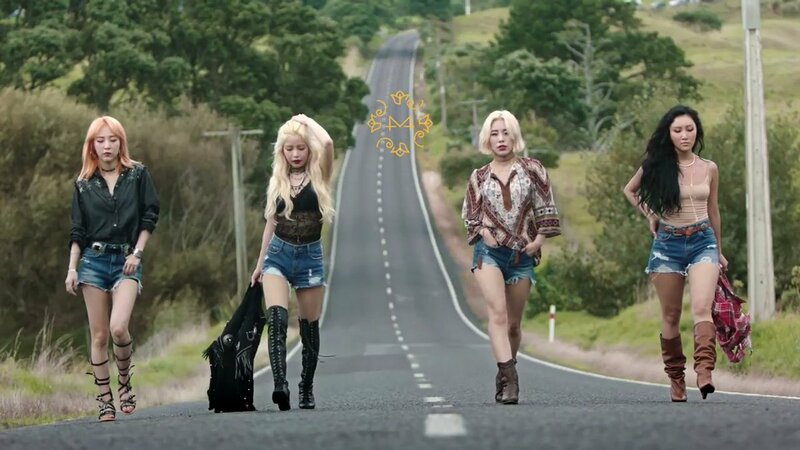 Mamamoo performed in another country – Mongolia, after releasing a single titled Ahh Oop! from their third extended play dubbed Pink Funky. While Ahh Oop! was released April 2, 2015, Pink Funky dropped June 19. Also in 2015, the girls jetted off to Los Angeles, in the United States, to meet with their fans. An eventful year indeed, Mamamoo concluded it with their first overall win on Immortal Song music competition with 404 points. In 2016, 7,000 tickets were sold out for Mamamoo’s first solo concert which they called 2016 Mamamoo Concert-Moosical. The group also released their first full-length studio album – Melting, on February 26 and it took the number 3 spot on the Gaon chart. Additionally, You’re the Best, the hit track on the album became their first number one single after going from number three to the top. They also had a few gigs in Austin Texas and Newark, New Jersey. In 2017, a second solo concert titled 2017 Mamamoo Concert Moosical: Curtain Call became a reality and their fifth EP Purple was released on June 22. Expectedly, the album’s title track Yes I Am, peaked at the top of the Melon real-time chart. The track also shattered existing records and set a new one for the highest number of unique listeners in 24-hours for a girl group. Mamamoo also climbed to the top spot in Billboard’s World Album Charts. A sixth EP titled Yellow Flower was released on March 7, 2018, followed by a seventh – Red Moon, on July 16, 2018. Both EPs were received with much love on the charts. What makes the group stand out is their fusion of jazz, R&B, retro and pop concepts to rave reviews. It never gets old with this quartet. Here are the talented music stars who have captured a wide range of audiences with their unique style. She is the sub-vocalist, songwriter and lead rapper of the group. Hwasa is also the youngest even though her appearance and charisma may say otherwise. The South Korean singer and rapper was born on the 23rd of July in 1995. Her birth took place in Jeonju, Jeollabuk-do, South Korea, after which she was given the name Ahn Hye-jin by her parents. She grew up in the same place of her birth with her folks and siblings – two elder sisters and attended Sacred Heart Girls’ Middle School and later went to Wonkwang Information Arts High School. Notably, she was bullied for her chubby appearance during her early days in school but she got her revenge body and grew into the beautiful talented member of a k-pop band. She opted for the mononym Hwasa, instead of her real name for professional purposes. Aside from performing with Mamamoo, Hwasa has also appeared on songs like Boy Jump by Baechigi and Love Talk by Kisum as a featured artist. She is popular as a South Korean rapper, singer, songwriter, and actress. Moonbyul was born on 22 December 1992 in Bucheon, Gyeonggi-do, South Korea and named Moon Byul Yi. The singer has two younger siblings, sisters Seulgi and Yesol. Moonbyul, as she has come to be known, holds the rank as the major rapper of Mamamoo. Before she joined the K-pop group, Moonbyul attended Paekche Institute of the Arts for media music and vocals. Upon her debut with Mamamoo, fans were awed by her rapping skills which could go unnoticed if her innocent looks are anything to go by. She also knows how to throw great moves on the dance floor. She went solo in May 2018, debuting with the release of her digital single, Selfish. However, she is still a member of Mamamoo. Moonbyul has also included movies to her resume and her acting skills can be seen in the web drama Start Love (2015). Her full name is Kim Yong-sun, given to her upon her birth on February 21, 1991, but she is better known by her stage name Solar. Her birth took place in Gangseo-gu, Seoul, South Korea, the same place where most of her childhood memories with her family can be traced to. She grew up with her parents and a sibling, her elder sister named Yong-hee. Her educational background shows that she graduated from Modern K Music Academy University but what she studied is not given. The South Korean singer, songwriter, and actress performs as the lead singer of Mamamoo. Her dream of touring the world as a flight attendant or tour guide was squashed when RBW swept her into the limelight as a member of Mamamoo. She is the oldest in the K-pop group and plays the role of a leader to the other girls. Her first outing as an actress was in 2015, in the K-drama titled Imaginary Cat. She also took part in celebrity TV series We Got Married where she performed for eight months with Korean-American pop singer Eric Nam. 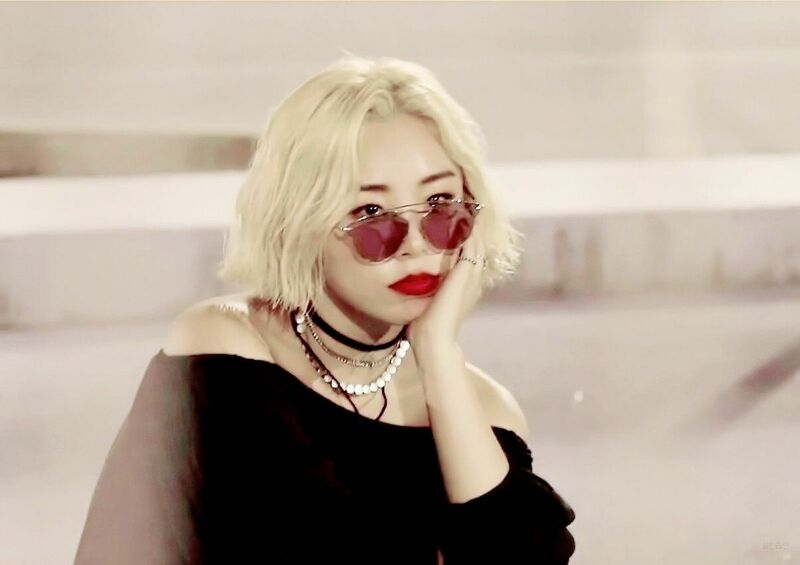 Jung Whee-in always knew she wanted to be a pop star from the start and she is currently living out that dream today as a member of one of the top K-pop groups in South Korea and the world. She was born on April 17, 1995, one of the youngest members of Mamamoo. Born in Jeonju, Jeollabuk-do, South Korea, Whee-in spent her childhood with her parents as their only offspring but that doesn’t mean she was lonely as she has cousins who made her forget she is an only child while growing up. For her education, she attended Jeonju Elementary School, Sacred Heart Girls’ Middle School and Wonkwang Information Arts High School. Wheein and Hwasa have been friends since middle school and that friendship has sustained to date. The South Korean singer performs with Mamamoo as the lead vocalist and songwriter. In spite of her small frame, Wheein is full of energy and has a voice so strong it could blow you off your feet. When it comes to performing at variety shows, no member of the group can hold a candle to her. In the absence of their designer stilettos, the members of Mamamoo are not known as tall ladies. Born in the same year, Wheein and Hwasa, the youngest members of the girl group are the shortest, standing at a height of 1.62 m which is a little over 5 feet. On the other hand, Solar has a height of 1.63 m, just an inch shy of that of her bandmates Wheein and Hwasa. She is also the oldest in the group and plays the role of a leader to the rest of the pack. The tallest of the girls, Moonbyul has a height of 1.65 m. She puts her beautiful physique to good use as the lead dancer and rapper in the group. Although details about their weight cannot be confirmed from a reliable source, the Mamamoo girls are visibly keeping fit and maintaining a slender figure.